On the morning of April 14, 1912, Annabelle Worthington was reading quietly in the library of her parents’ house, overlooking the large, walled-in garden. The first signs of spring had begun to appear, the gardeners had planted flowers, and everything looked beautiful for her parents’ return in the next few days. The home she shared with them and her older brother Robert was a large, imposing mansion, at the northern reaches of Fifth Avenue in New York. The Worthingtons, and her mother’s family, the Sinclairs, were directly related to the Vanderbilts and the Astors, and somewhat more indirectly to all the most important New York families. Her father, Arthur, owned and ran the city’s most prestigious bank. His family had been in banking for generations, just as her mother’s family had been in Boston. Her brother Robert, at twenty-four, had worked for her father for the past three years. And of course, when Arthur retired one day, Robert would run the bank. Their future, like their history, was predictable, assured, and safe. It was comforting for Annabelle to grow up in the protection of their world. Her parents loved each other, and she and Robert had always been close and gotten along. Nothing had ever happened to upset or disturb them. The minor problems they encountered were always instantly buffered and solved. Annabelle had grown up in a sacred, golden world, a happy child, among kind, loving people. The past few months had been exciting for her, although tempered by a recent disappointment. In December, just before Christmas, she had been presented to society at a spectacular ball her parents had given for her. It was her debut, and everyone insisted it was the most elegant and extravagant debutante ball New York had seen in years. Her mother loved giving beautiful parties. The garden had been covered over and heated. The ballroom in their home was exquisite. The band had been the most coveted in the city. Four hundred people had attended, and the gown Annabelle had worn made her look like a fairy princess. Annabelle was tiny, elfin, delicate, even smaller than her mother. She was a petite blonde, with long, silky golden hair, and huge blue eyes. She was beautiful, with small hands and feet, and perfect features. Throughout her childhood her father always said she looked like a porcelain doll. At eighteen, she had a lovely, well-proportioned slim figure, and a gentle grace. Everything about her suggested the aristocracy that was her heritage and that she and all her ancestors and relations had been born into. The family had shared a lovely Christmas in the days following the ball, and after all the excitement, parties, and nights out with her brother and parents, in flimsy evening gowns in the winter weather, in the first week of January, Annabelle had fallen ill with a severe case of influenza. Her parents had been worried about her when it turned rapidly to bronchitis, and then nearly to pneumonia. Fortunately, her youth and general good health helped her to recover. But she had been sick and had run fevers in the evenings for nearly a month. Their doctor had decided finally that it would be unwise for her to travel in her weakened condition. Her parents and Robert had planned a trip for months, to visit friends in Europe, and Annabelle was still convalescing when they left on the Mauretania in mid-February. She had traveled on the same ship with them many times before, and her mother offered to stay home with her this time, but by the time they left, Annabelle was well enough for them to leave her alone. She had insisted that her mother not deprive herself of the trip she’d been looking forward to for so long. They were all sorry to leave her, and Annabelle was severely disappointed, but even she admitted that although she felt much better by the time they left, she still didn’t feel quite up to a long journey abroad for two months. She assured her mother, Consuelo, that she would take care of the house while they were away. They trusted her completely. Annabelle was not the sort of girl one had to worry about, or who would take advantage of their absence. They were just very sorry that she couldn’t come with them, as Annabelle was herself. She was a good sport when she saw them off at the Cunard dock in February, but she returned home feeling a little dejected. She kept herself busy reading and taking on projects in the house that would please her mother. She did lovely needlework, and spent hours mending their finest bed and table linens. She didn’t feel well enough to go out socially, but her closest friend Hortense visited her often. Hortense had also made her debut that year, and the two girls had been best friends since they were children. Hortie already had a beau, and Annabelle had made a bet with her that James would propose to her by Easter. She’d been right, as it turned out, and they had just announced their engagement the week before. Annabelle couldn’t wait to tell her mother, who would be home soon. They were due back on the seventeenth of April, having set sail four days before from Southampton on a new ship. It had been a long two months without them and Annabelle had missed them. But it had given her an opportunity to regain her health, and do a great deal of reading. After she finished her chores around the house, she spent every afternoon and evening in her father’s library, poring over his books. Her favorites were the ones about important men, or science. She had never had much interest in the romantic books read by her mother, and even less so in the ones loaned to her by Hortense, which she thought were drivel. Annabelle was an intelligent young woman, who soaked up world events and information like a sponge. It gave her lots to talk about with her brother, and even he admitted privately that the depth of her knowledge often put him to shame. Although he had a good head for business, and was extremely responsible, he loved going to parties and seeing friends, whereas Annabelle appeared gregarious on the surface, but had a deep serious nature and a passion for learning, science, and books. Her favorite room in the house was their father’s library, where she spent a great deal of her time. On the night of the fourteenth, Annabelle read late into the night in her bed, and slept unusually late the next morning. She brushed her teeth and combed her hair when she got up, put on a dressing gown, and made her way slowly down to breakfast. She thought the house was strangely silent as she walked downstairs, and she saw none of the servants. Venturing into the pantry, she found several of them huddled over the newspaper, which they folded quickly. She saw in an instant that their faithful housekeeper Blanche had been crying. She had a soft heart, and any sad story about an animal or a child in distress easily reduced her to tears. Annabelle was expecting one of those stories as she smiled and said good morning, and with that, William the butler began crying and walked out of the room. ors, but only that one could assume with a ship that size and that new that the passengers had been taken off in time, and the rescue would have been complete. The newspaper reported that the enormous ship had hit an iceberg, and although thought to be unsinkable, it had in fact gone down several hours later. The unimaginable had happened. Annabelle flew into action immediately, and told Blanche to have the car and her father’s driver brought around. She was halfway out the pantry door to run upstairs and get dressed, as she said that she had to go to the White Star office immediately, for news of Robert and her parents. It didn’t even occur to her that hundreds of others would do the same. 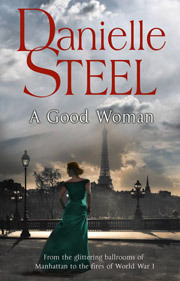 Her hands were trembling as she dressed haphazardly in a simple gray wool dress, put on her stockings and shoes, grabbed her coat and handbag, and ran back down the stairs again, without even bothering to pin up her hair. She looked like a child with her hair flying, as she dashed out the front door and it slammed behind her. The house and everyone in it already seemed frozen in a state of anticipated mourning. As Thomas, her father’s driver, took her to the White Star Line’s offices at the foot of Broadway, Annabelle was battling a wave of silent terror. She saw a newsboy on a street corner, calling out the latest news. He was waving a more recent edition of the paper, and she made the driver stop and buy one. The paper said that an unknown number of lives had been lost, and that reports were being radioed from the Carpathia about survivors. Annabelle could feel her eyes fill with tears as she read. How could this have happened? It was the largest, newest ship on the seas. This was her maiden voyage. How could a ship like the Titanic go down? And what had happened to her parents, her brother, and so many others? When they reached the White Star offices, there were hundreds of people clamoring to get in, and Annabelle couldn’t imagine how she could push her way through the throng. Her father’s burly chauffeur helped her, but it still took her an hour to get inside. She explained that her brother and parents were first-class passengers on the ill-fated ship. A frantic young clerk took her name, as others went to post lists of survivors on the walls outside. The names were being radioed by the radio operator of the Carpathia, assisted by the surviving radio man from the Titanic, and they had boldly written at the top of the list that at present it was still incomplete, which gave many hope for the names they did not see. Annabelle held one of the lists in her trembling hands, and could hardly read it through her tears, and then near the bottom she saw it, a single name. Consuelo Worthington, first-class passenger. Her father and brother were nowhere on the list, and to steady her nerves, she reminded herself it was incomplete. There were startlingly few names on the list. “When will you know about the others?” Annabelle asked the clerk as she handed it back to him. “In a few hours, we hope,” he said as others shouted and called out behind her. People were sobbing, crying, arguing, as more outside fought to come in. The scene was one of panic and chaos, terror and despair. “Are they still rescuing people from the lifeboats?” Annabelle asked, forcing herself to be hopeful. At least she knew her mother was alive, although who knew in what condition. But surely, the others had survived too. “They picked the last ones up at eight-thirty this morning,” the clerk said with somber eyes. He had already heard tales of bodies floating in the water, people screaming to be rescued before they died, but it wasn’t up to him to tell the story, and he didn’t have the courage to tell these people that lives had been lost by the hundreds, and maybe more. The list of survivors so far was just over six hundred, and the Carpathia had radioed that they had picked up over seven hundred, but they didn’t have all the names yet. If that was all, it meant over a thousand passengers and crew members had been lost. The clerk didn’t want to believe it either. “We should have the rest of the names in the next few hours,” he said sympathetically, as a man with a red face threatened to hit him if he didn’t hand over the list, which he did immediately. People were frantic, frightened, and spiraling out of control in their desperation for information and reassurance. The clerks were handing out and posting as many lists as they could. And finally, Annabelle and her father’s driver, Thomas, went back to the car, to wait for more news. He offered to take her home, but she insisted she wanted to stay, and check the lists as they updated them over the next few hours. There was nowhere else she wanted to be. She sat in the car in silence, some of the time with her eyes closed, thinking about her parents and her brother, willing them to have survived, while being grateful for her mother’s name on the list so far. She didn’t eat or drink all day, and every hour they went back to check. At five o’clock, they were told that the lists of survivors were complete, with the exception of a few young children who could not yet be identified by name. But everyone else that had been picked up by the Carpathia was on the list. “Has anyone been picked up by other ships?” someone asked. The clerk silently shook his head. Although there were other ships recovering bodies from the freezing waters, the crew of the Carpathia were the only ones who had been able to rescue survivors, mostly in lifeboats, and a very few from the water. Almost all of those in the icy Atlantic had died before the Carpathia arrived, although the rescuers had been on the scene within two hours after the Titanic went down. It was just too long for anyone to survive the frigid temperature of the ocean. Annabelle checked the list one more time. There were 706 survivors. She saw her mother’s name again, but there were no other Worthingtons on the list, neither Arthur nor Robert, and all she could do was pray that it was a mistake. Maybe an oversight, or they were unconscious and couldn’t say their names to those who were checking. There was no way to get more news than they had. They were told that the Carpathia was due into New York in three days, on the eighteenth. She would just have to keep faith until then, and be grateful for her mother’s survival. She refused to believe that her father and brother were dead. It just couldn’t be. 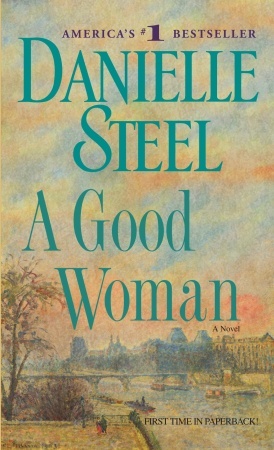 Excerpted from A Good Woman by Danielle Steel Copyright © 2008 by Danielle Steel. Excerpted by permission of Dell, a division of Random House, Inc. All rights reserved. No part of this excerpt may be reproduced or reprinted without permission in writing from the publisher.